Handbook | ELEFAN TATOO ..
ELEFAN TATOO - appliance for professional use in cosmetic and tattoo salons. 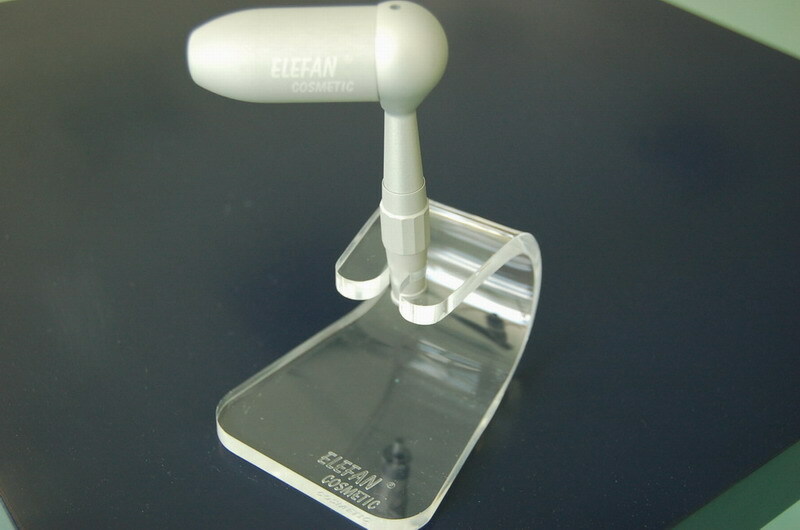 ELEFAN TATTOO is a quality all-metal appliance for permanent make-up and tattooing.It has been developed for professional use - it meets all the necessary requirements for use in the E.U. Its reliability has been proved over the ten-year period , it has been in production. The noise and vibration of the appliance is far less than the directions require and therefore it is easy to work with. Maintenance of the appliance is not difficult and cleaning is very simple - due to its rounded shapes and smooth metal surface. 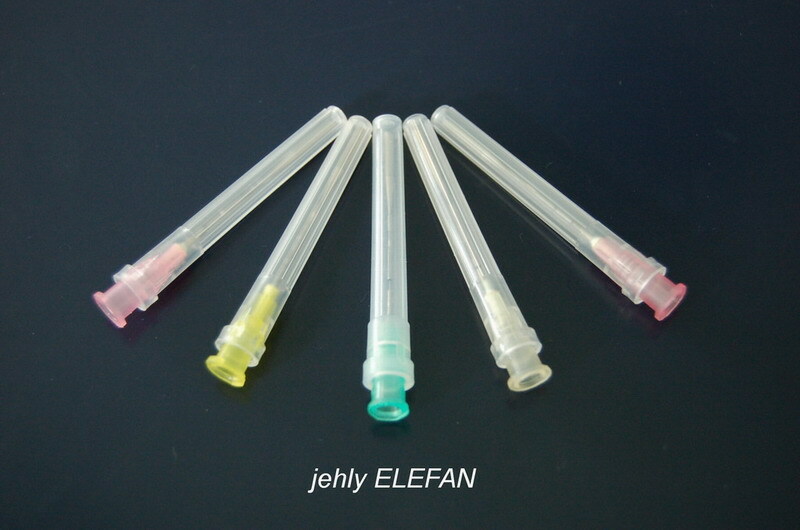 The tatoo appliance ELEFAN TATOO keeps the depth of the prick of the needle constant, regardless of the number of pricks, the kind of needle or the quality of the skin - which is the basic requirement for permanent make-up. The depth of the needle prick can be easily set in a range from 0 - 1,6 mm.This range enables all sorts of work to be preformed - from the most delicate correction of permanent make-up to the covering of large areas while tattooing. 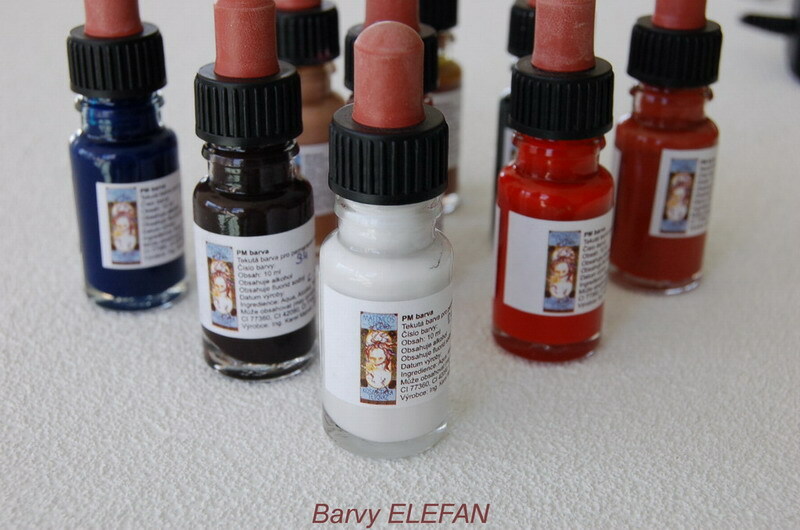 The sterile needles for the ELEFAN TATTOO are delivered with a little storage container of dye. The needles can be used with 1,2,3,5 or 7 heads. All the needles are for single-use and together with the dye pots must be treated and disposed of as infectious material. 0 - Basic setting - the foot switch is not pressed down - off position. 2 - 2nd level - the pedal is fully pressed down (the max number of needle pricks is cca 1200 pm) The appliance is switched off by releasing the foot switch. To change the needle, twist off the housing. There is no need to remove the needle guide. The needle is then fixed into kleštiny (9) by tightening převlečné rýhované matice (9). Then carefully replace the housing with the needle guide (8). Twist the housing back on the body of the appliance (4). Put the expension attachment onto the needle guide, so that the needle goes through the opening(10). Switch on the appliance by pressing the foot switch down and by turning the housing. Set the required depth of needle prick - which will be identical with the longest length of the projecting needle. All operation have to be performed wearing gloves so that the equipment remains sterile. When removing the needle, turn in the opposite direction ( the needle, extension piece, the housing and the needle guide have to be handled as if they are infectious). When exchanging needles, do not use any instruments. The surfaces have a special finish which is resistant to infection. The resistant surface could be damaged. Cosmetic improvements for permanent make-up should be performed only by trained and accredited medical auxiliaries or cosmetic surgeons who are obliged to use sterile equipment for each customer.They are obliged to ensure health protection which includes the safe disposal of waste material. The equipment is and shloud be treated as infectious material (single-use needles, containers, dye pots). Before and after treatment each customer must be informed about the procedures used. People who are to work with this appliance must undergo special training where they learn the art and as well as practising of the ELEFAN TATTOO. Fix the needle with the appropriate number of heads onto the appliance. Prepare the dye for the application (if necessary dilute with the thinner) and shake in thoroughly. Drop the dye into the pot with the dropper from the little bottle of dye. Then connect the appliance connector to the foot switch and plug in the power cord. By pressing down the foot switch the ELEFAN TATTOO starts to operate. Adjust the depth of the needle prick by gently turning the housing. Dip the tip of the vibrating needle into the dye pot and fill it with the required amount of dye. (The dye will get sucked into the containers). 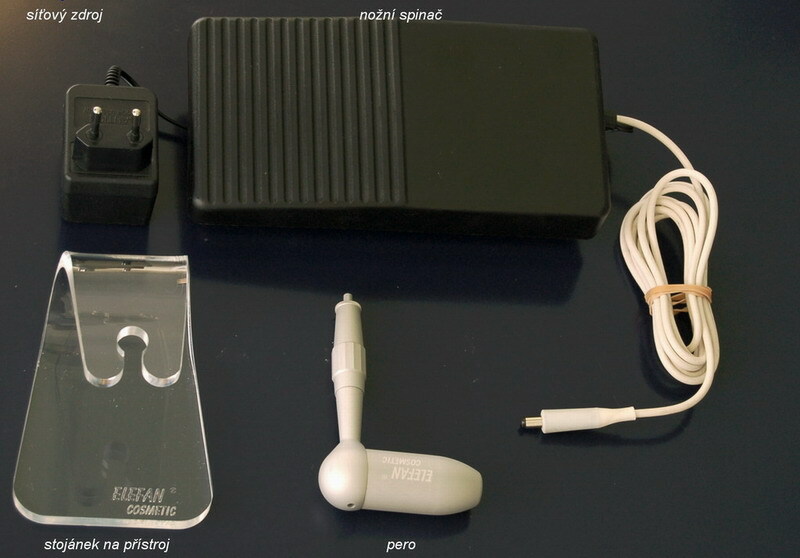 By lifting the foot off the foot switch , the appliance is switched off, and the ELEFAN TATTOO is ready for use. If possible, while working with the appliance, hold it upright so that the needle penetrates vertically into the skin. When not in use always place the appliance on its stand, with the needle facing downwards. After finishing the whole operation, clean and disinfect the guide of the needle (6), the housing (5) and the matice kleštiny (9) from any excess dye inside and outside. For cleaning, use a cotton bud dipped in disinfectant or use disinfectant spray. Parts 5,6 and 9 should be sterilized in a sterilizer. All disinfecting of the appliance should be done with the appliance disconnected from the foot switch. (Pushing the connector out of the appliance body). The body of the appliance (4) (the part, where the connector is plugged in ) cannot be dipped into any liquid. Maintenance of the ELEFAN TATOO appliance - from time to time oil the threads in the housing. Use either cosmetic oil on a cottoon bud or just a very small amount of oily cosmetic cream.